Liquid Cast Quality polyurethane chemically and mechanically to a strong polymide core. 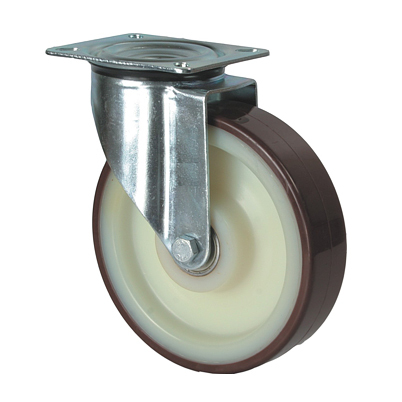 Non-corrosive & non-marking 95° shore A, non-Staining, abrasion-resistant, floor-saving, low-noise operation,low rolling resistance tested & guaranteed against bond failures. 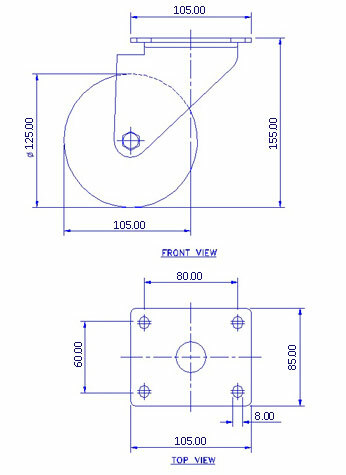 Wheel Bearing Options: Sealed precision ball bearing or roller bearings. Temperature range:-20°C to +85°C. 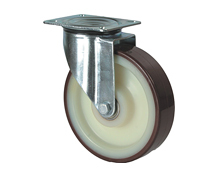 Alternatively available with soft polyurethane treand.